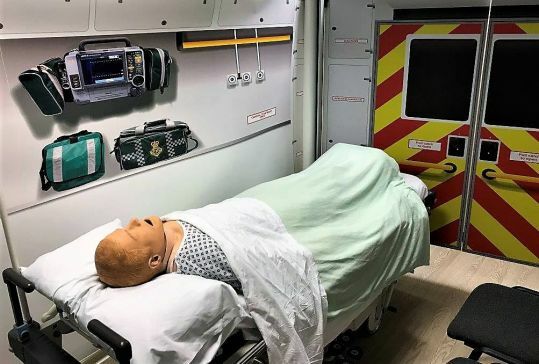 The Cambridge University Hospitals' Simulation Centre is a development which allows multi-professional and inter-disciplinary learning on machines that simulate a wide variety of very realistic medical scenarios. Our aim is to improve patient safety through teaching and training, with research methods being developed to provide us with tools to reduce clinical error. The Post Graduate Medical Centre administers the Centre, and training scenarios will be programmed and designed specifically to meet the needs of each group of participants depending on the level of experience. This will enable every participant to rehearse relevant procedures both simple and complex, and have exposure to rare events. For a full a list up upcoming simulation course please click here, or for further information on Simulation courses please contact the Simulation Administrator on mkd32@medschl.cam.ac.uk or by phone on 01223 348100.